Some questions asked in job interviews can be a challenge, even for an experienced pharmacist. What are prospective employers hoping to find out from the trickiest questions and how should you tackle them? Being interviewed for a new job can be intimidating at any stage of a pharmacist’s career. Although some questions are asked in almost every interview, knowing how to answer them honestly while showcasing the traits that employers are looking for can still be a challenge. 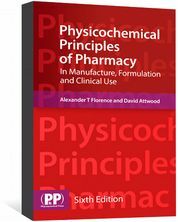 The following seven questions, submitted by pharmacists via social media and online forums, are considered to be particularly problematic. What would you do if a consultant or GP does not want to change a medicine you believe is not appropriate for a particular patient? “This question should be anticipated for junior or newly qualified [pharmacist] posts,” says Dennis Lauder, chief pharmacist at NHS Frimley Health Foundation Trust. Any answer to such a question should consider “how to demonstrate confidence and assertiveness in the situation and how they would maintain a dialogue with fellow professionals,” he adds. Candidates attempting this type of question should not include “any suggestion of direct criticism of the prescribing habits of fellow professionals,” Lauder explains, but notes that answers should also not imply that a GP or consultant should not be questioned. Can you tell me about a time things happened in a way they were not supposed to? “This is a standard competency-based interview question where the interviewee is expected to give a real life example from personal experience that shows how they dealt with a particular problem or setback,” explains Lauder. 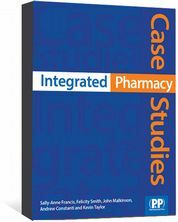 A spokesperson from community pharmacy chain Boots says that, in this type of competency-based question, the candidate should think carefully to choose an example that gives them the opportunity to display the behaviours the interviewer is looking for. “This may mean that the example might not display a career highlight because it is more important to showcase the behaviour that is being asked about,” the spokesperson says. Both Boots and Bhella emphasise the importance of making the example personal. Bhella comments that weak examples include those where the candidate had little impact or influence on the eventual improvements. Brown says she would be more likely to ask candidates to tell her about a situation with staff or customers where something unexpected took place and explain how they handled it. “A model answer for me would include a description of the event and how it impacted on the team,” she notes. She adds that it would be important that they kept calm, organised and delegated appropriately and had safety as their paramount consideration. What is the impact of the Francis report* on pharmacy? 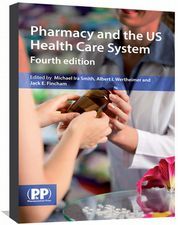 “This demonstrates that the candidate has read relevant papers to pharmacy and has made some efforts to understand the wider healthcare environment,” notes Bhella. However, Bhella says it’s worse to guess. “I’d prefer the candidate to admit openly they were not aware of the paper or had not read it if that were the case,” he explains. He believes that candidates should give a brief summary of what led to the inquiry, including a few highlights that caused such a public reaction. 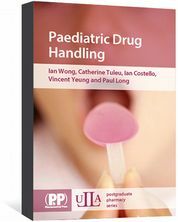 “Key points to note include raising concerns, how pharmacists were as culpable as other healthcare professionals, and the duty of care to patients that is shared by all,” he adds. Lauder notes: “Usually interviewers asking this question are looking for drive, ambition and a clear statement about a career path.” He suggests beginning with the job you are being interviewed for and explaining your reasons for applying. “If there are definite training opportunities, for example, a postgraduate diploma or independent prescribing qualification, that are part of in-house development then explain how achieving this will provide additional experience for future moves. If you have a definite idea as to how you want to specialise then it is okay to mention it, but don’t limit your options,” he says. This question relates mainly to those applying for roles outside the NHS because those within the NHS adhere to the pay bands according to Agenda for Change, the fixed salary strategy for the NHS. 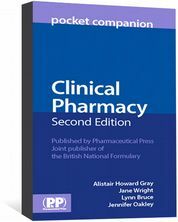 Within community pharmacy, the Boots spokesperson explains: “This is where the interviewer seeks to understand more about the candidate’s geographical mobility, current driving licence or access to transport, current salary and future expectations.” They add that this type of question is not scored but help both the hiring manager and candidate to establish suitability for the role. This might be asked to see how the interviewee reacts to an ‘off-the-wall’ question, according to Lauder. Bhella agrees: “This will show how well the candidate can think on their feet. This should, however, be demonstrated throughout the rest of the formal process of interview and assessment.” He adds that he would expect this question to be asked at the end of the interview to relax the candidate and make them smile. *The Francis report, which was published in February 2013, looked into the failings of care at Mid Staffordshire NHS Foundation Trust. **The Carter review, published in February 2016, investigated efficiency in hospitals.